The topic of plastic has top priority on the EU's agenda, particularly in connection with the European measures regarding the circular economy. This generates a central starting point to optimize the life cycle of plastics and recycling. Another reason for initiatives in this field is that 80% of the waste polluting our seas is plastic. Agriculture uses 6.5 million tons of plastic products per annum. This includes agricultural films, wraps under layer, silage films, stretch films, steel. The majority of the plastics used in agriculture are trashed after use. TENCEL® fibers are 100% biodegradable and even 100% compostable. When a material is compostable, the nutrient cycle of organic materials under the influence of atmospheric oxygen and insects in the soil breaks down the material. Carbon dioxide is released as are water-soluble minerals, which can be used as fertilizers. A percentage of the intermediate products created during the decomposition phase is converted to hummus. The compostability of TENCEL® fibers offers a considerable and completely natural advantage for agriculture. The high strength of TENCEL® fibers enables the reduction of material use, particularly with support strings. 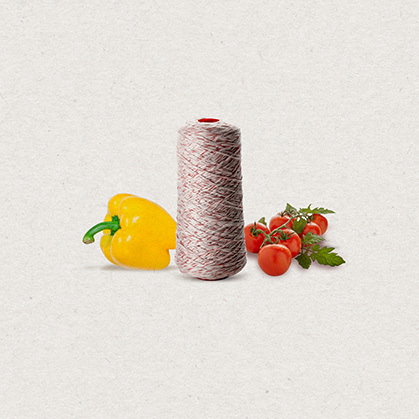 TENCEL® strings are much thinner than cotton strings and have a higher strength. The load capacity of support strings of this kind, which has to be up to 80 kg depending on the crop, is assured throughout the growth period of the plant. TENCEL® fibers are pure and have no contaminants. They are tested according to the EU criteria for food contact use and can therefore be used by agriculture for food products without any concerns. "At the moment, only several products, such as support strings, ropes and nonwovens, are in use. However, TENCEL® fibers have great potential in agriculture. Mankind faces a plastics problem if we consider that plastic takes up to 400 years to decompose," Marina Crnoja-Cosic, head of Technical Textiles, comments. "Any reduction in the use of plastics helps to protect our environment. In agriculture in particular, sustainable materials should be used. This is good for us humans and for the environment," Crnoja-Cosic continues. 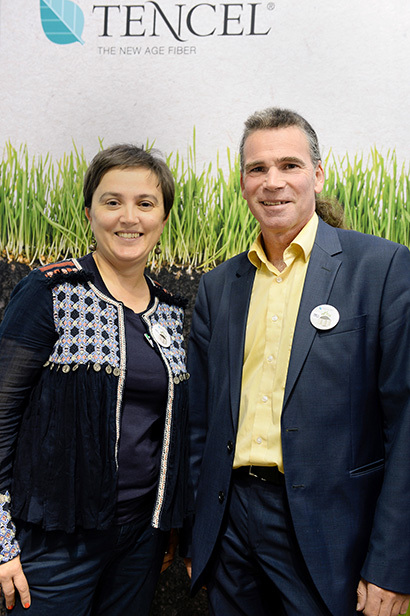 "We are continuing to work to firmly establish TENCEL® fibers in this field. Mussel nets have already been tested and are in use in the Northern Adriatic Sea. This Lenzing innovation reduces the contamination of our seas," Crnoja-Cosic is sure.